TMONET and GO-Trust have partnered to form a microSD-based mobile service platform for the single-wire protocol microSD technologies and institute a mobile NFC payments infrastructure in Korea. A release from GO-Trust states that the creation of the microSD service platform will make Korea the second nation, behind China, to publish a national standard specifying microSD as the secure element for the financial industry. The Finance Informatization Promotion Committee last month enacted a Korean standard platform for microSD with TMONET one of the main members along with 43 other banks and credit card companies in the region. TMONET brings to the table its mobile-based T-Money service— a series of rechargeable cards and mobile devices used for paying transportation fares in Seoul and other areas of South Korea. T-Money can also be used in lieu of cash or credit cards in select convenience stores and retailers throughout the region. GO-Trust Secure will provide its microSD card — a JAVA smart card that supports a number of hardware securities including on-line credit card payment, funds transfers, bill pay, auto recharge of contactless pay cards and ticket/voucher storage. 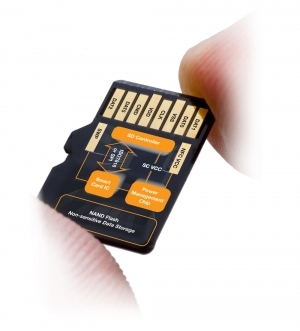 GO-Trust SWP mircoSD cards also offer full NFC functionality for virtually every NFC-enabled mobile device currently on the market. GO-Trust SWP microSD cards have been officially certified by MasterCard and ChinaUnionPay, making them a viable option for the NFC payments infrastructure initiative. The TMONET and GO-Trust initiative will shift away form the traditional structure that has dominated SIM secure element ownership in the region. Traditionally, ownership of the Secure Element (SE) has fallen to the Telecom provider, but TMONET wants to shift away from this structure — a move that has captured the interest of a number of major banks. 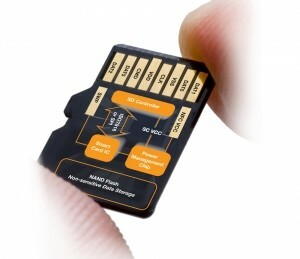 The GO-Trust SWP microSD cards will essentially support full NFC functionality, allow for data exchange between NFC phones and effectively transform any NFC-enabled phone into mobile Point of Sale terminal.